The waves of the shimmering ocean crash gently against the beach. The cares of everyday life disappear like the footprints in the snow-white sand. 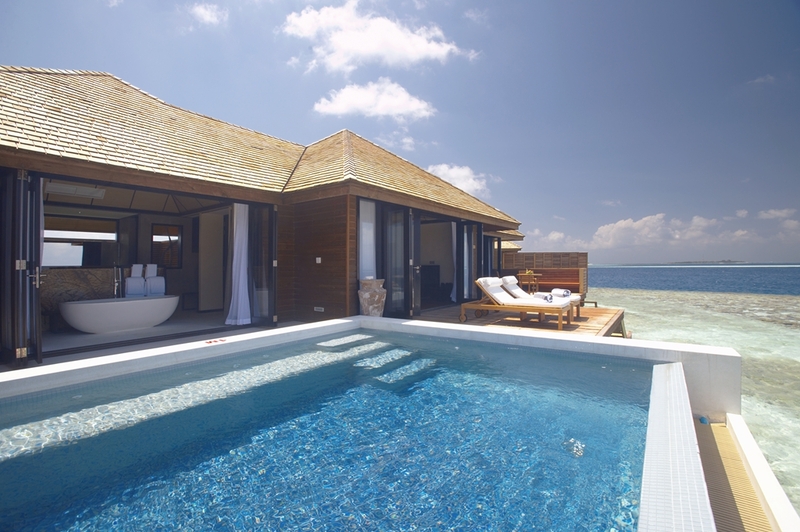 The elongated Maldives island of Huvahendhoo houses a luxurious paradise that draws its visitors into a sensual world of wellbeing. 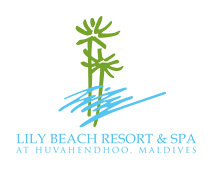 Since 2009 Lily Beach Resort & Spa has been the soul of the island. 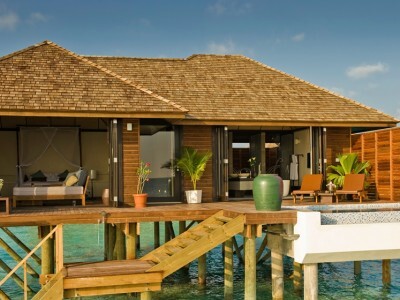 The first five-star all-inclusive Platinum Plan resort in the Maldives reveals a world of affordable luxury and unencumbered enjoyment. 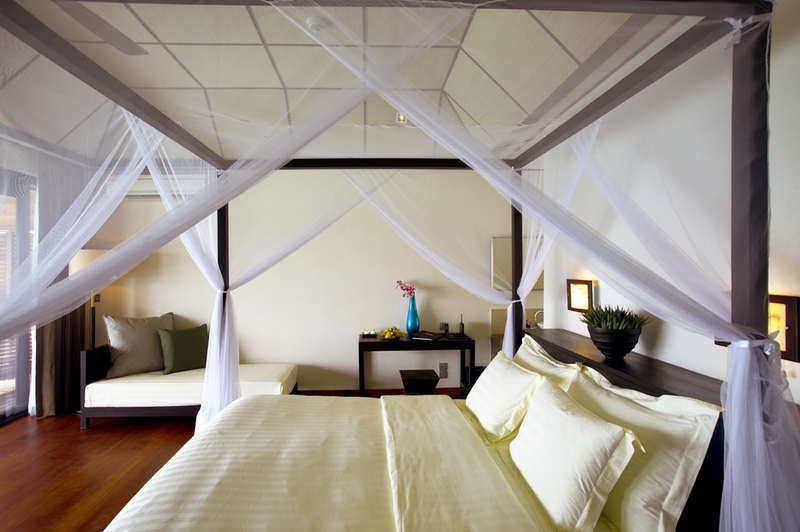 Those in search of perfect recuperation will find their own personal paradise at the Lily Beach Resort & Spa. 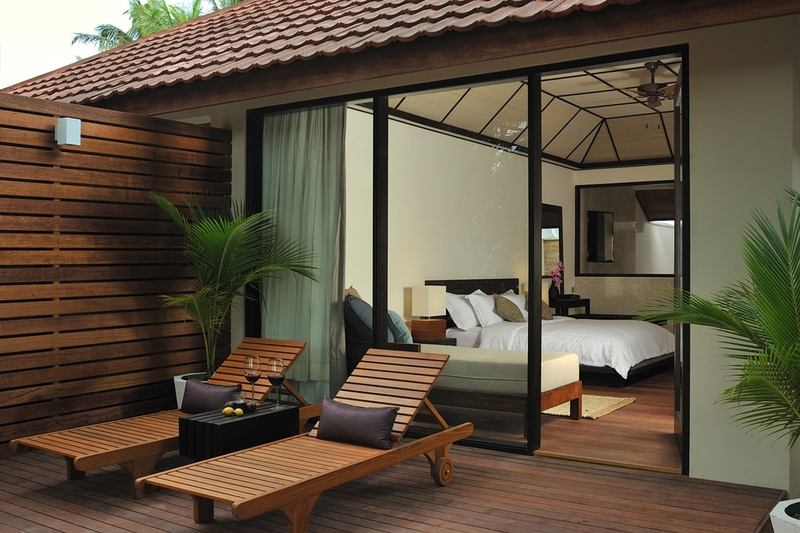 The 68 Sqm² “island style” Beach Villas blend harmoniously with the lush nature of the island. 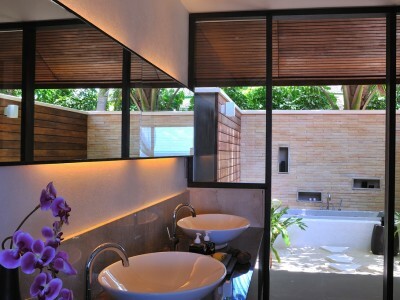 The charming outdoor bathroom is a small wellness oasis on its own. 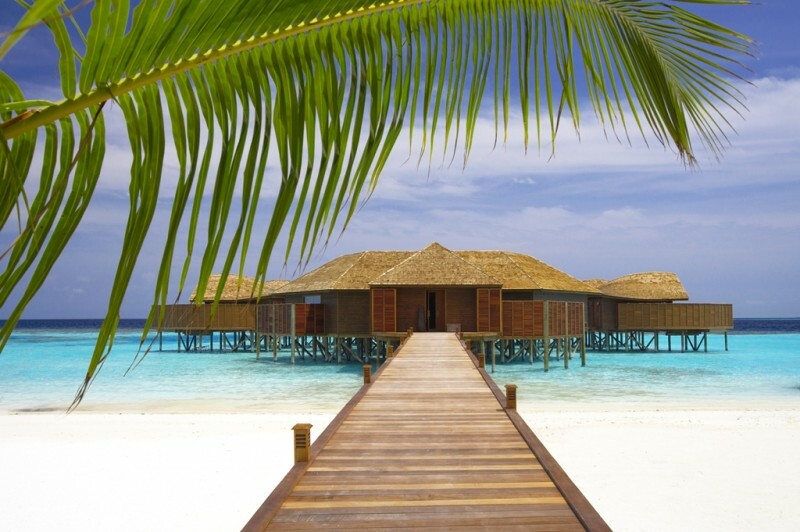 Just a few steps across the snow-white sands and you can plunge into the warm waters of the Indian Ocean. 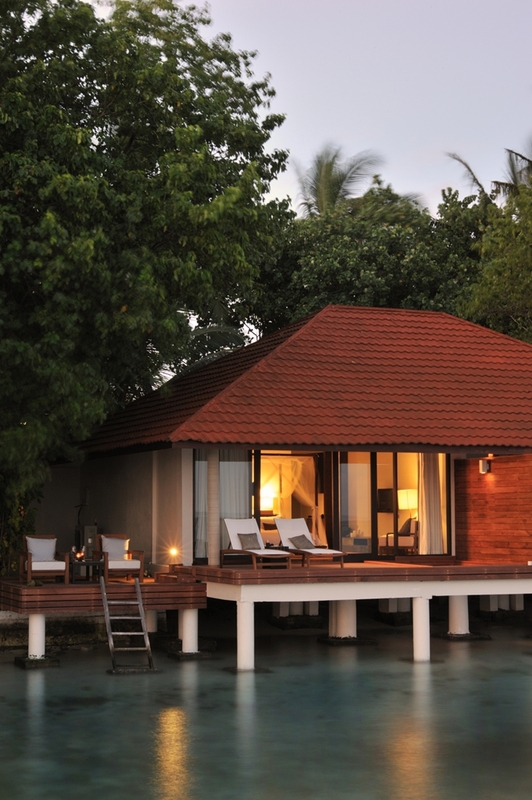 Maldivian beauty, wherever you look, embedded in a tropical garden, the 90m² Lagoon Villas rise up above beach and water alike. 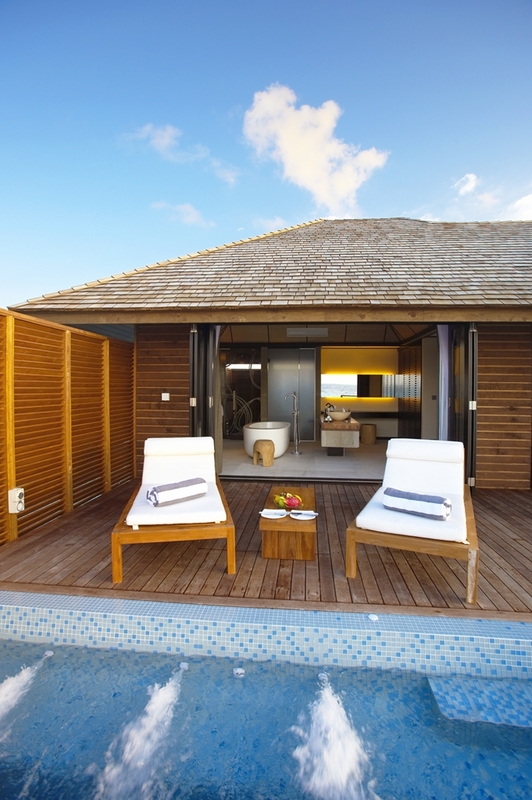 The extensive terrace with dream views of the ocean provides direct access to beach and lagoon. 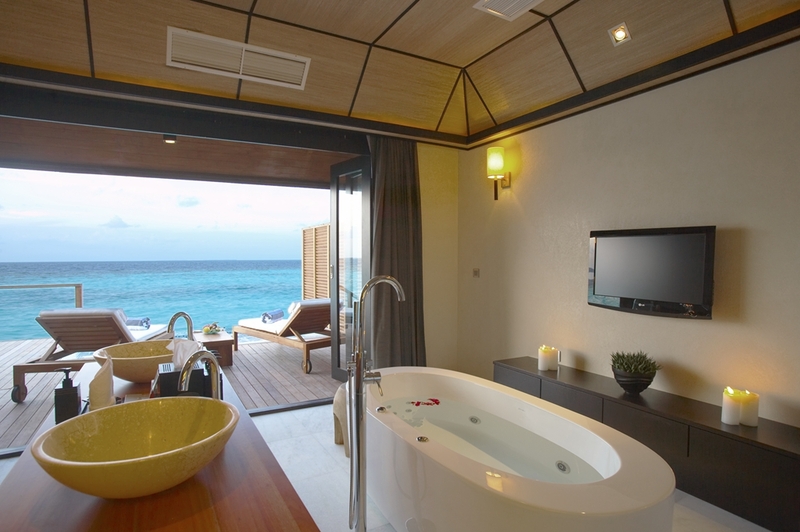 A highly charming feature is the open-air bathroom, typical for the Maldives, which each of the Lagoon Villas is equipped with. 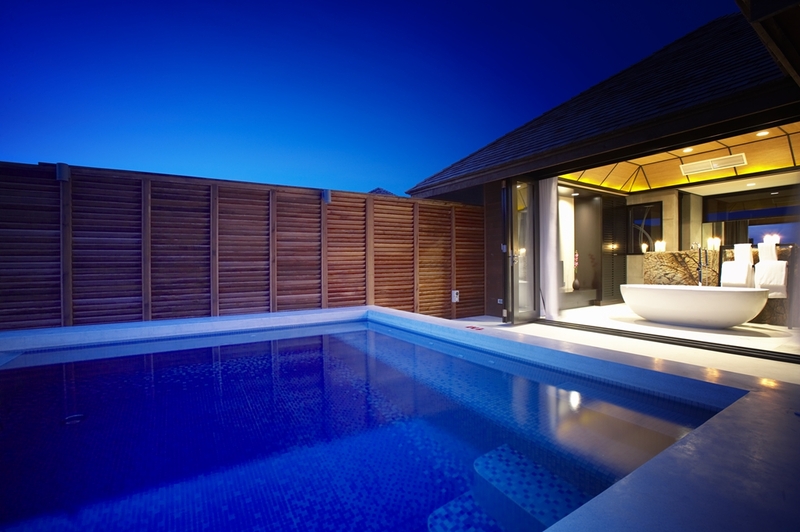 With the breathtaking, artistically-sunken glass floor the 126-square-metre villa offers an elegant interior of exotic wood and luxurious marble as well as direct access to the turquoise-coloured lagoon. 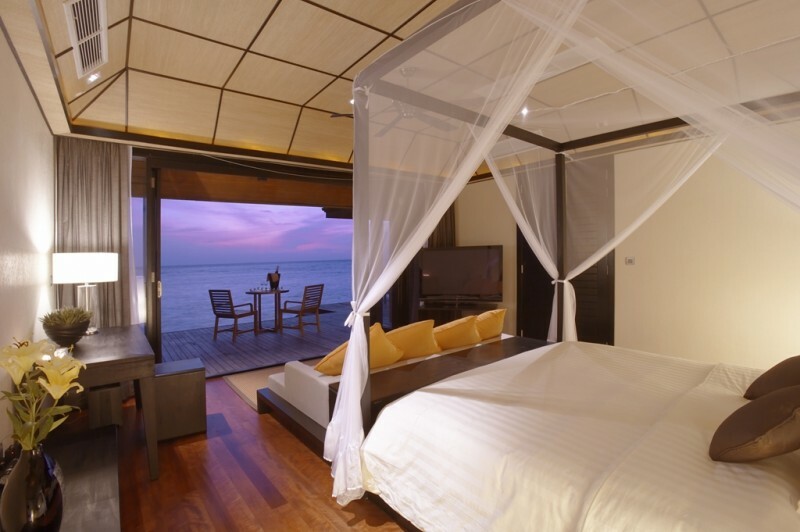 The gaze sweeps over the shimmering ocean, the exotic reef close enough to touch, the lagoon just a few steps away: unusual in its elegance and exclusivity, the Sunset Water Suite provides the ultimate overwater living experience on a floor space of 182 Sqm². 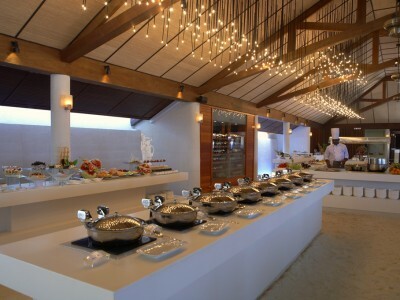 “Lily Maa”, our open-air main restaurant with panoramic view of the lagoon offers a combination of Ala Carte and sumptuous buffet for breakfast, lunch and Dinner, live cooking stations, grill, BBQ and delightful desserts displayed complemented with 70 Premium wines selection from all around the world. 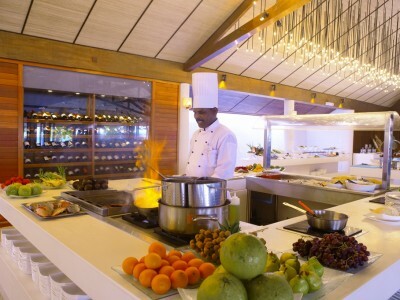 “Tamarind”, our Specialty Restaurant features a fusion of Indian and Chinese Cuisine, offering a truly unforgettable Culinary Journey. 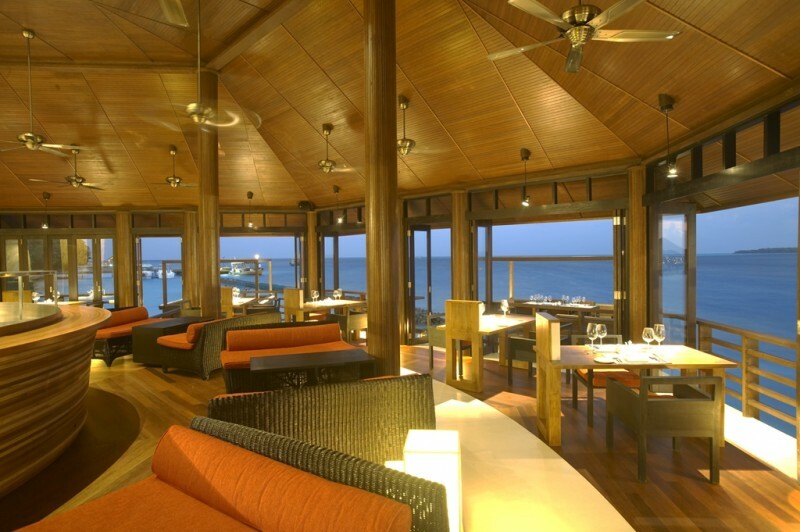 The private Overwater tables and the elegant ambiance complemented with the Signature dishes and Premium Wines will surely add the Romantic flavour to your Fine Dining Experience. 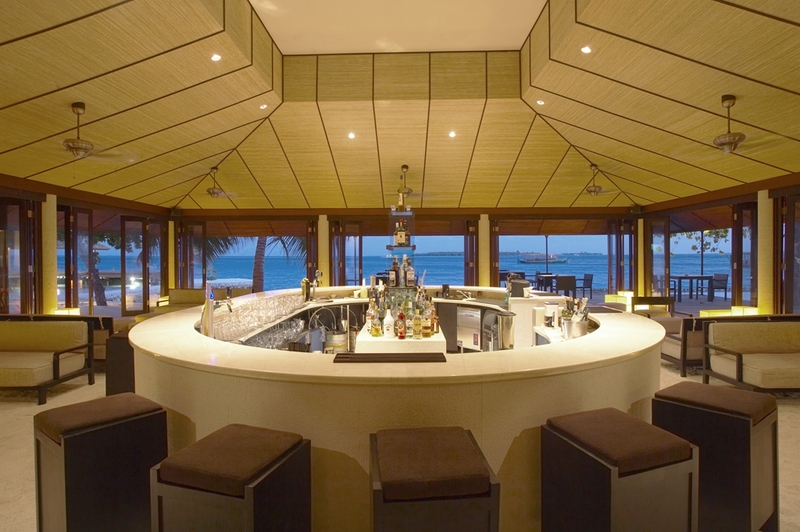 “Spirit Bar & Lounge” lively and informal, feature Sandy floors, vibrant colour schemes, beautiful in and outdoor settings, and the tastefully selected lounge music makes it the perfect place to unwind and chill-out after an eventful day or to begin an exciting evening. 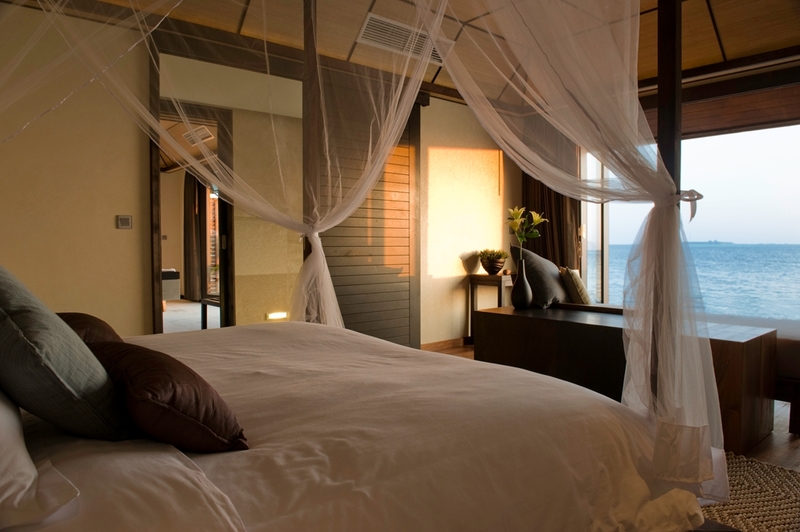 The beguiling scent of exotic aromas lies in the air, a gentle sea breeze wafts through the bright rooms of the sanctuary. The glass floors grant unique insights into the fascinating underwater world of the Indian Ocean. “Tamara” is a truly inspirational place. 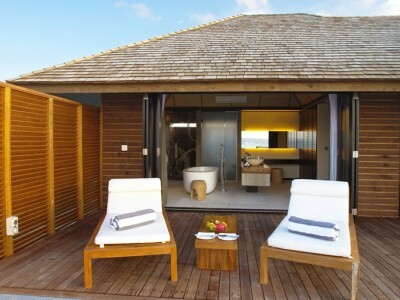 Accompanied by the meditative whoosh of the Indian Ocean, body and soul embark on a holistic journey of absolute relaxation. 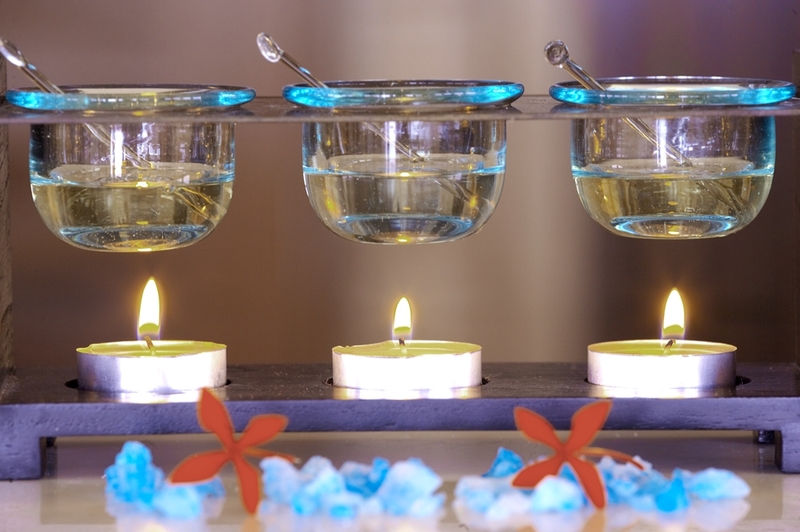 Tamara reveals holistic therapies that go far beyond those of a typical spa experience. 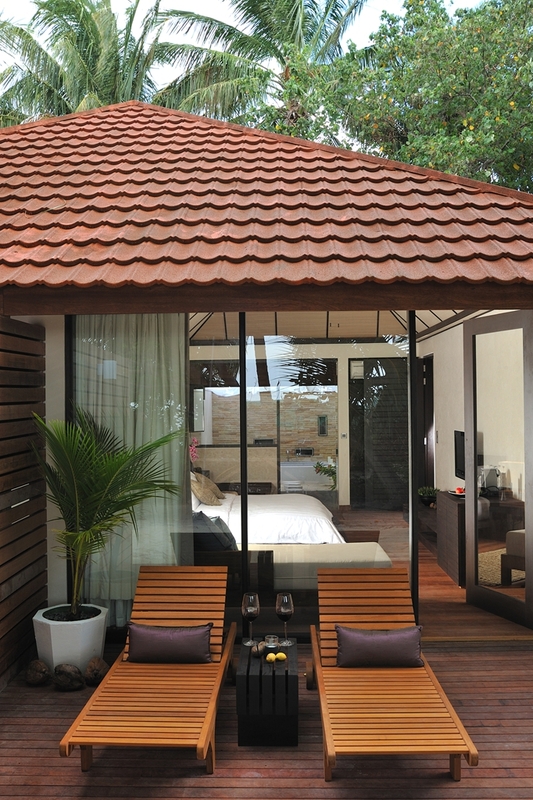 Inspired by the various rejuvenating practices of different cultures, techniques and philosophies flow into the Tamara, highlighting a selected spa portfolio that delivers a perfect wellness experience. 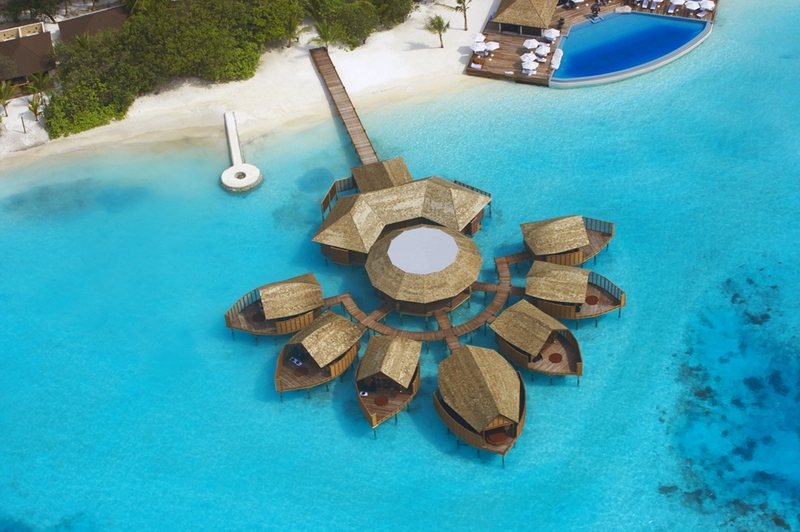 In the Overwater Spa Pavilions, the design of which is reminiscent of that of a traditional Maldivian dhoni, guests not only float above the sea, but also in different spheres. 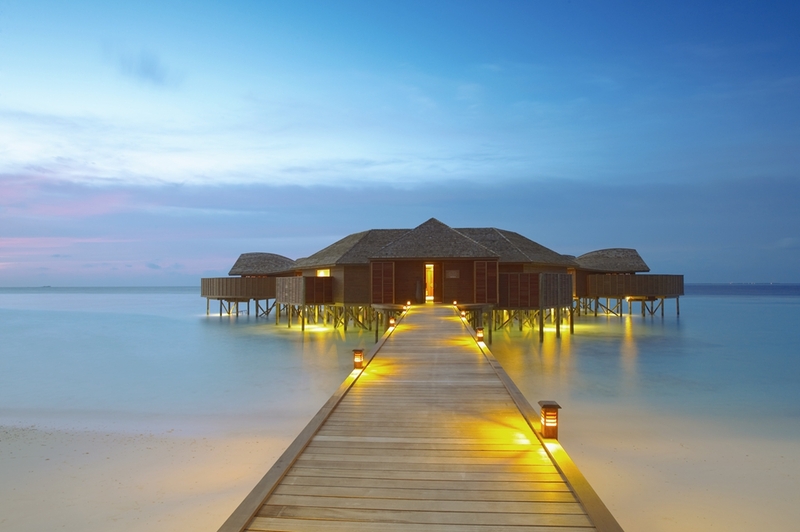 Accompanied by the meditative whoosh of the Indian Ocean, body and soul embark on a holistic journey of absolute relaxation. Time and space lose their significance; all that counts is pure wellbeing. 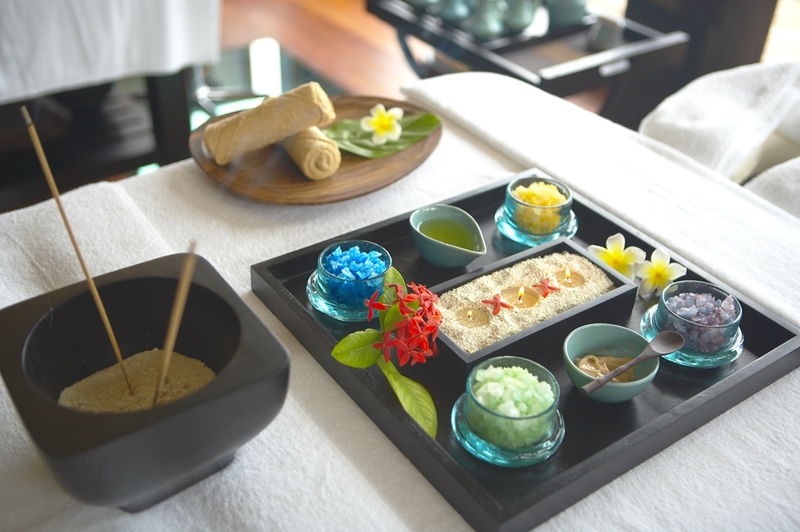 Tamara reveals holistic therapies that go far beyond those of a typical spa experience. 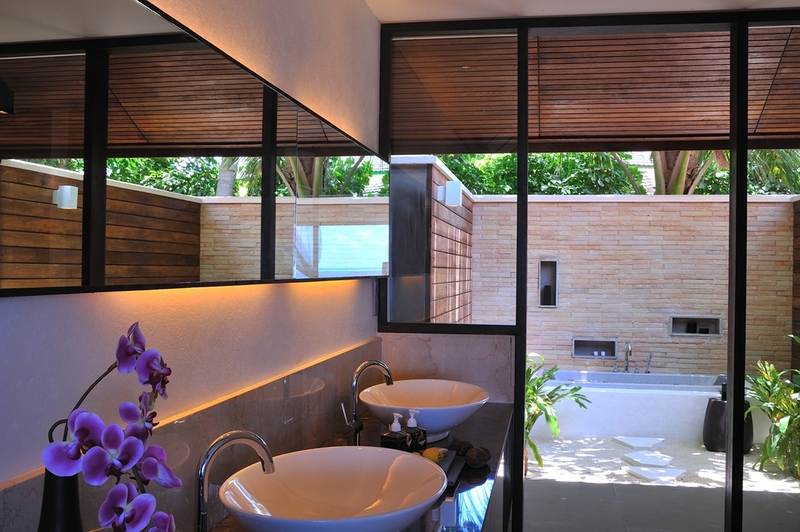 Inspired by the various rejuvenating practices of different cultures, techniques and philosophies flow into the Tamara, highlighting a select spa portfolio that delivers a perfect wellness experience. 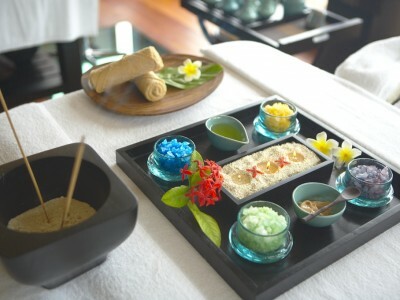 Traditional Asian health and beauty applications are combined with highly sophisticated, modern spa techniques, delivering both benevolent relaxation and vitalising energy. 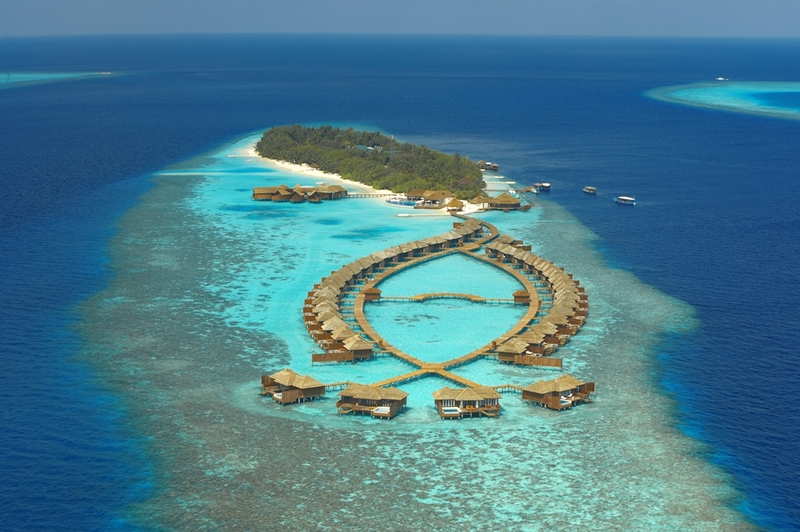 With exceptional dive sites in the area Lily Beach has access to more than 40 dive sites. “Ocean Pro” Dive Centre offer theory & practical lessons (English, German, Japanese and French) by a professional European Team of colleagues with knowledge of the best dive sites and wrecks within the vicinity and afar. A choice for everyone, beginners to advance, and all courses are conducted by PADI standards. Children 8 -11 years can enjoy the Bubble-makers course too. 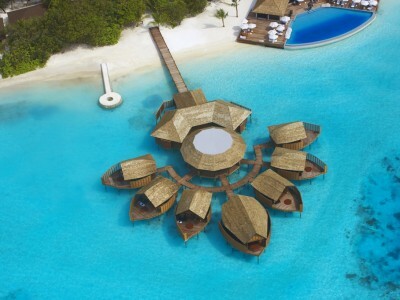 Going in sync with the ‘fun-filled holiday’ concept, the resort will have numerous options to keep you busy, day & night. 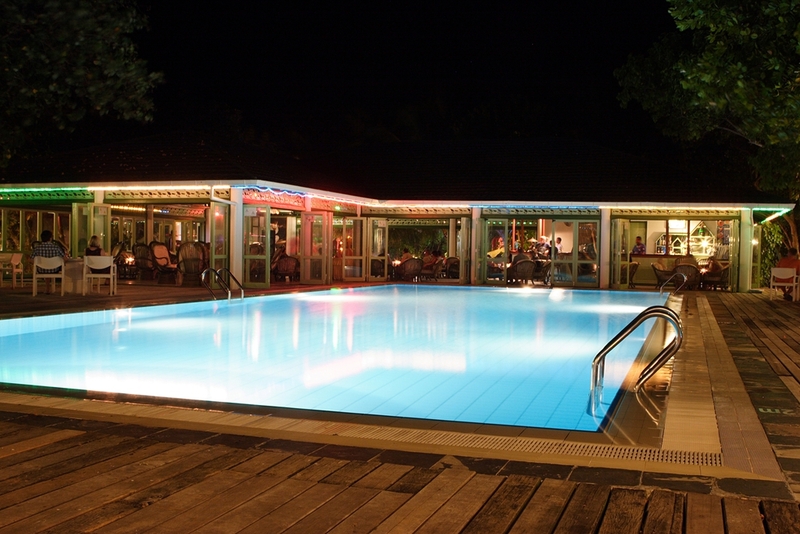 Night: Live music, traditional local music, disco, night fishing. 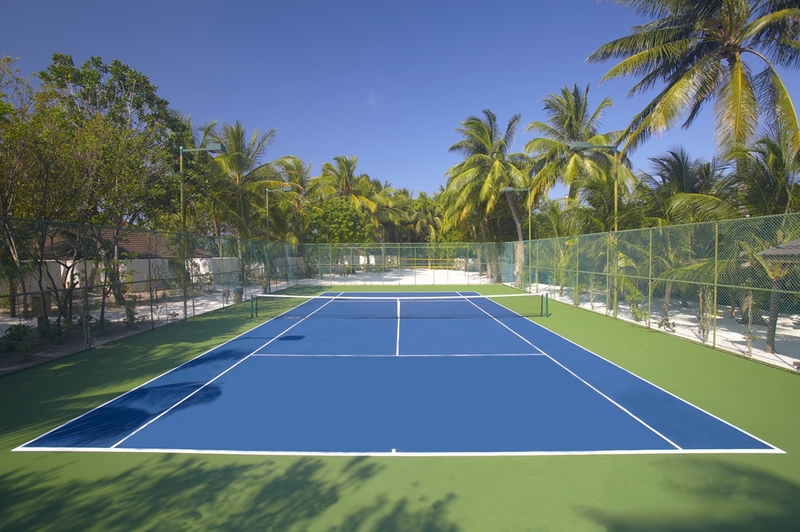 Day: A fully equipped gymnasium, a full-fledged water sports centre equipped with motorized and non -motorized water sports, an internet café, a flood-lit tennis court, table tennis, dart, carom, billiards/pool, beach volleyball, and a variety of exciting excursions. 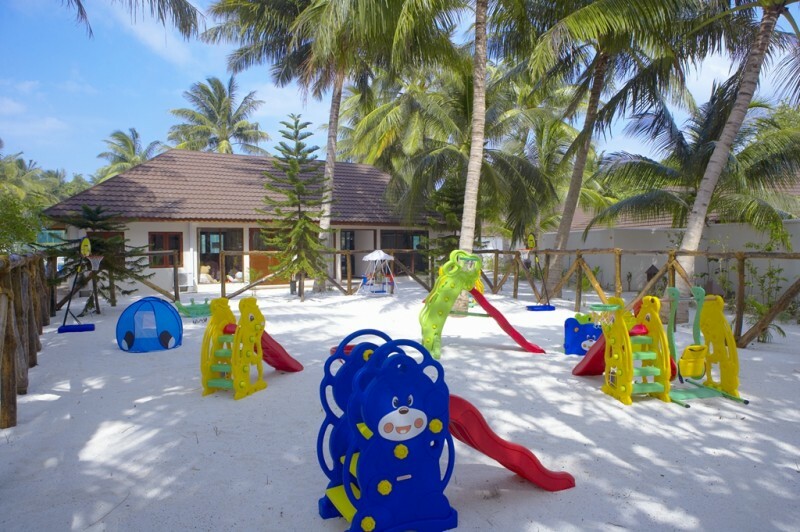 In our endeavour to make our youngest guests’ holiday an absolute delight, “Turtles” at Huvahendhoo, offers a variety of kids club programs to make their holiday, fun-filled, adventurous & exciting. A creative and experienced team of professionals are on hand to assist with wide choice of activities – both indoors and outdoors. 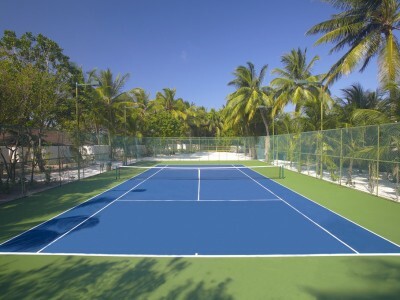 The facilities offered include Indoor & Outdoor play areas. 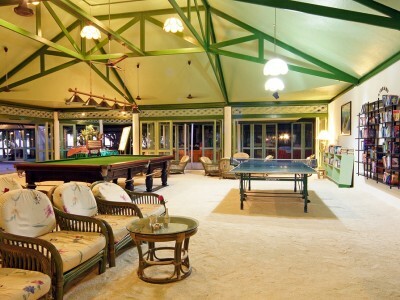 The Indoor area is air-conditioned with wooden flooring, oversized day beds, soft couches, a small library, variety of board games, various sizes of stuffed toys, low seating arrangements, an assortment of cartoons/ Children Movies DVDs. The Outdoor area has sandy flooring with tree shades, outdoor play units (Swings, seesaw, local children outdoor games), and bicycles to ride. Some of the activities include Treasure Hunt, Painting/Drawing, Sandcastle and ‘Make your own Sandwich’, as well as a guided Island tour. Baby sitting services are available for additional charge. Children from ages 3- 12 are welcome to the ‘Turtles’ Kids Club. Burada Avrupa çizgilerini görebilmek daha mümkün mimari olarak. Ayrıca buranın mutfağına da değinmek isterim ki, müşterilerine adeta dünya mutfağını seriyor. Hem mideye hem göze hitap ediyor. Sabah öğle ve akşam çeşit sayısı çok ve kültür tatları alabilmek oldukça mümkün. Özellikle akşam saat 21 de yaptıkları manta ve bebek köpek balığı besleme fasılları mükemmel. Doğaya her şekliyle şahit olabildiğiniz Maldivler’de bu görüntüye şahit olmakta sizi çok mutlu edecektir. Ayrıca su üstünde spa keyfi yaşamak isterseniz de burası tercihiniz olabilir. 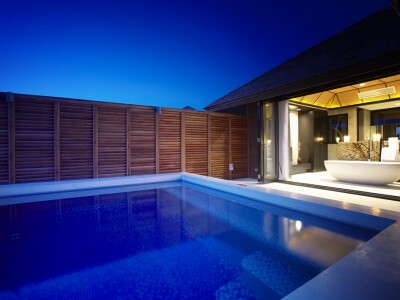 This is one of the special designed places. 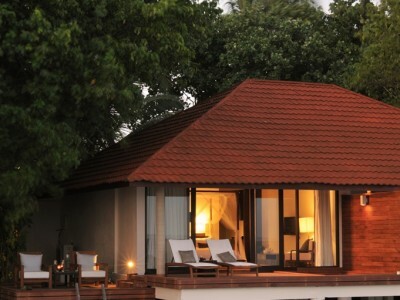 The ambiance in Lily Beach Resort in all its premises is very modern and unique. 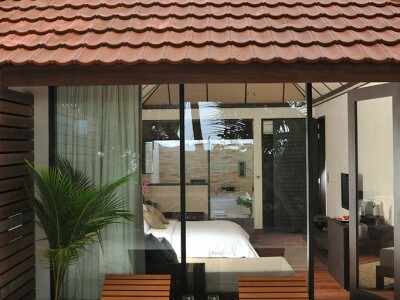 They have a European touch in many ways; from design to management with European staff and even mostly European guests. 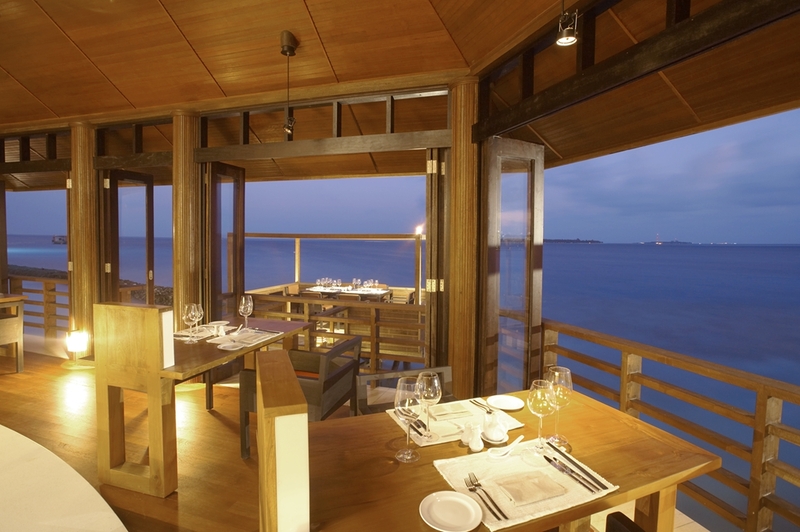 The ground of the restaurant covered by sand gives a beach feeling even when you are enjoying your food. 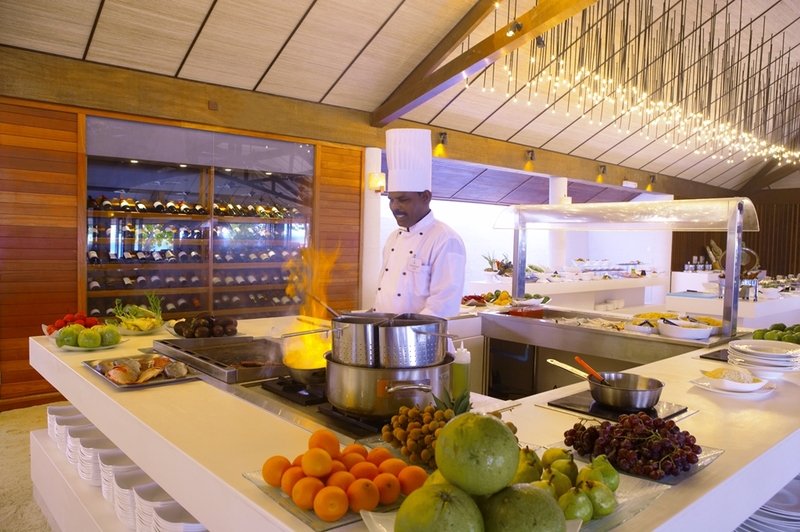 By the way, the cuisine is very rich in variety; offering both Asian and international choices. 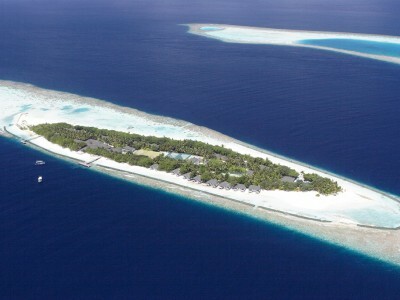 South of Male, this resort is accessible by sea plane from Male during the day, and domestic flight + speedboat transfer after it gets dark. 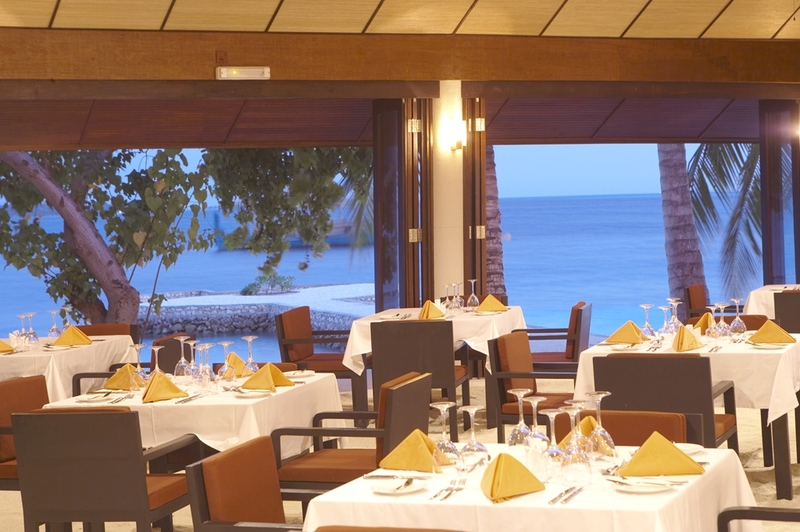 They have all inclusive plan, which means you do not have to worry about anything once you are on the island. 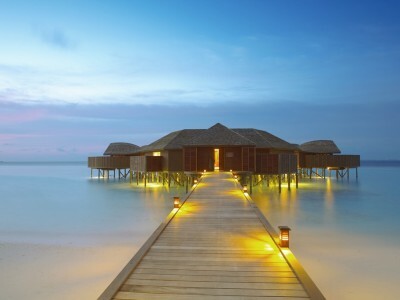 An ex entry level 3 star establishment, it has been converted to a 5 star luxury resort. Trees and the amount of plants on the island are substantial. Pinewood which has special treatment for withstanding salty ocean water is imported all the way from New Zealand. This also shows the importance given to quality and long-term goals of the management. 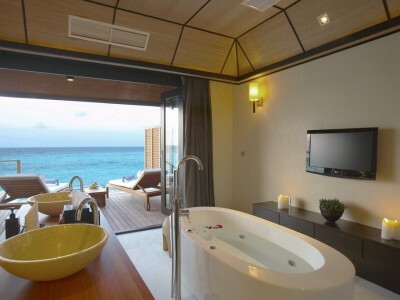 They have 125 villas in 4 categories; beach villa, lagoon villa, deluxe water villa and sunset water villa. 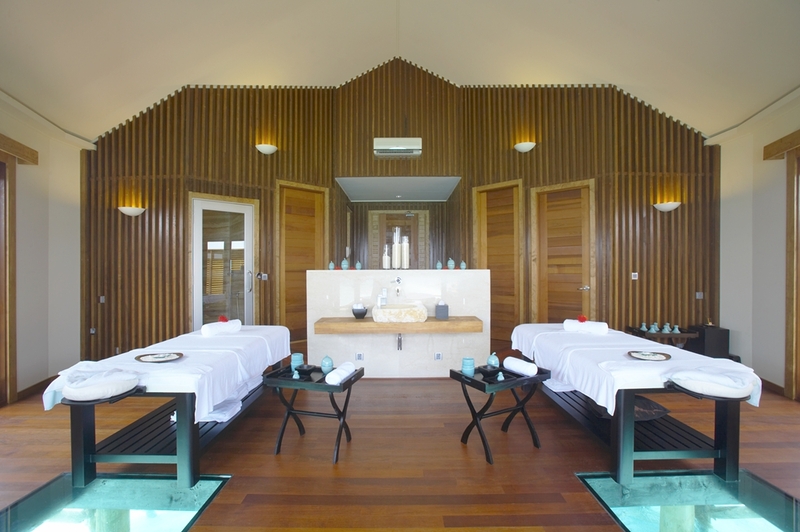 The over water spa with glass bottom is an amazing place for relaxing and spa treatment. 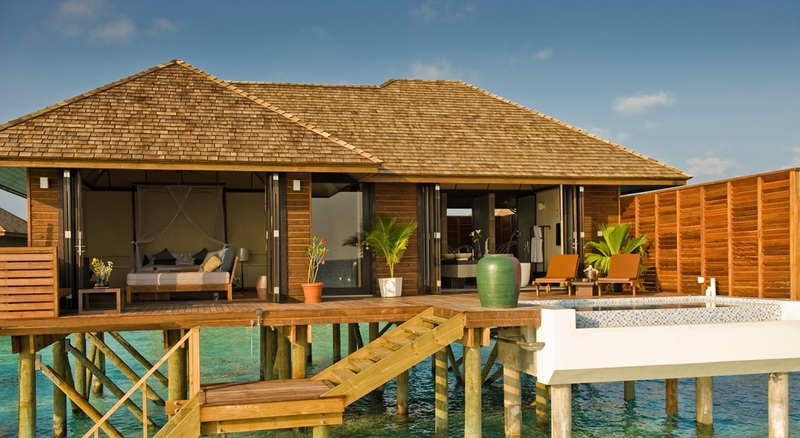 Even in your water villas, you can be literally ‘on’ the water thanks to the glass bottom. 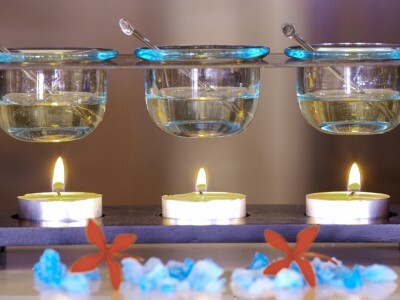 And if you are not satisfied by seeing the fishes through your glass bottom, you can also join the ‘fish breeding’ sessions in the evening where you can see huge stingrays and many types of fish ‘performing’ for you. Современный, красивый, гостеприимный отель со своим домашним рифом. Мы жили в береговых виллах, из которых очень удобный выход к пляжу и рифу, там же наблюдали красивый закат. Особенно понравился бар с бассейном возле спа центра для взрослых. Водные виллы еще больше по площади и располагают удобными террасами для загорания, плавания и созерцания закатов! Ресторан порадовал огромным выбором блюд, ягод, морепродуктов, фруктов, сыров, сашими и всего остального на любой вкус. Но я попросила приготовить целую рыбу на пару, чтобы сочная была, но увы не вышло, все равно высушили. Вечером наблюдали кормление акул, скатов и других хищников – страшно впечатлило! Понравился домашний коралловый риф – встретили акулу и черепаху. На мой взгляд отель полностью соответствует своей цене и подходит всем, кому нравится концепция все включено, тем более на Мальдивах это очень актуально! Дорога до отеля Lily Beach занимает всего около 25 минут на гидросамолете (также возможен вариант трансфера на доместике). Отель имеет потрясающий домашний риф, расположенный всего в нескольких метрах от берега, что дает замечательную возможность заниматься снорклингом и наслаждаться разнообразием подводного мира. Для детей на острове создана хорошая инфраструктура, включающая в себя прекрасный детский клуб, где предлагаются развлекательные мероприятия для детей от 3 до 12 лет. Возможно предоставление услуг няни. 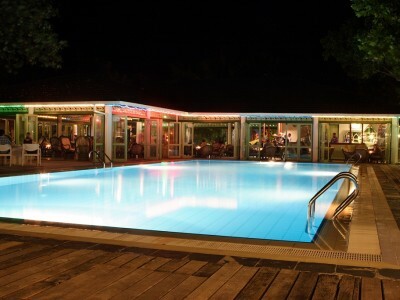 Номера категории Family beach villa располагаются в непосредственной близости к детскому клубу и бассейну, где дети могут безопасно насладиться купанием. Таким образом, одна часть острова идеально оборудована для размещения семей с детьми. Другая часть острова больше подходит для размещения взрослых без детей, оборудован бассейн рекомендованный только для взрослых, что также дает возможность спокойного и уединенного отдыха. В отеле имеется центр водных видов спорта, СПА, дайв центр, спортивные площадки. По вечерам проводится кормление акул и скатов, что всегда вызывает восторг у наблюдателей. Конечно же, одно из главных преимуществ отеля – это тип питания “ Platinum Plan”, в который включены даже ежедневно пополняемый минибар и сигареты 4 марок (более подробную информацию сможете найти во вложении). Кроме того, гости могут бесплатно пользоваться снаряжением для подводного плавания, объектами спортивного центра и выбрать 2 бесплатные экскурсии на протяжении пребывания в отеле. Отдых в данном отеле можем рекомендовать для абсолютно разных категорий гостей: для семей с детьми, молодоженов или компании друзей. The way to the hotel Lily Beach takes only about 25 minutes by seaplane (one more possible transfer is domestic flight). 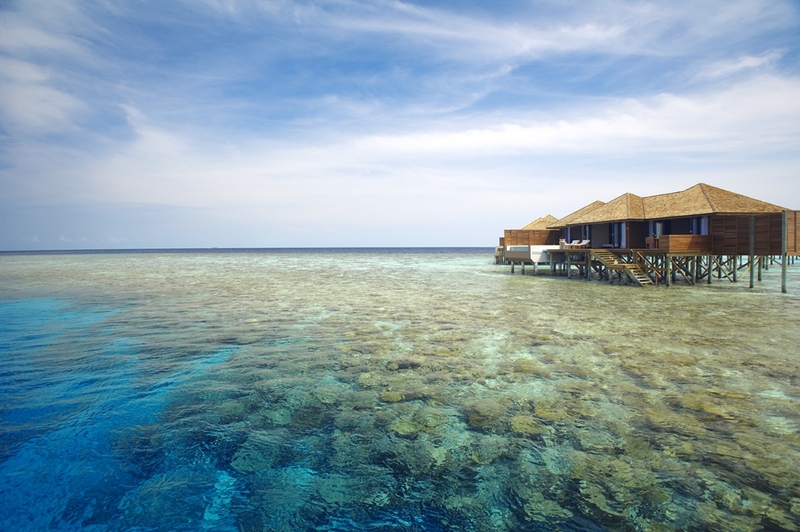 The hotel has an incredible house reef, located just in a few meters from the shore, what gives a wonderful opportunity to snorkel and enjoy the variety of underwater world. Hotel has very good infrastructure for children, including a beautiful kids club, which offers entertainment for children from 3 to 12 y/o. It is also possible to provide babysitting services. 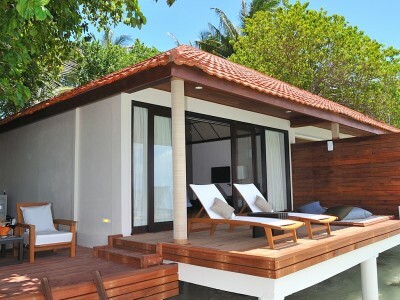 Family beach villa rooms are located very close to the Kids club and a swimming pool, where children can safely enjoy a swimming. 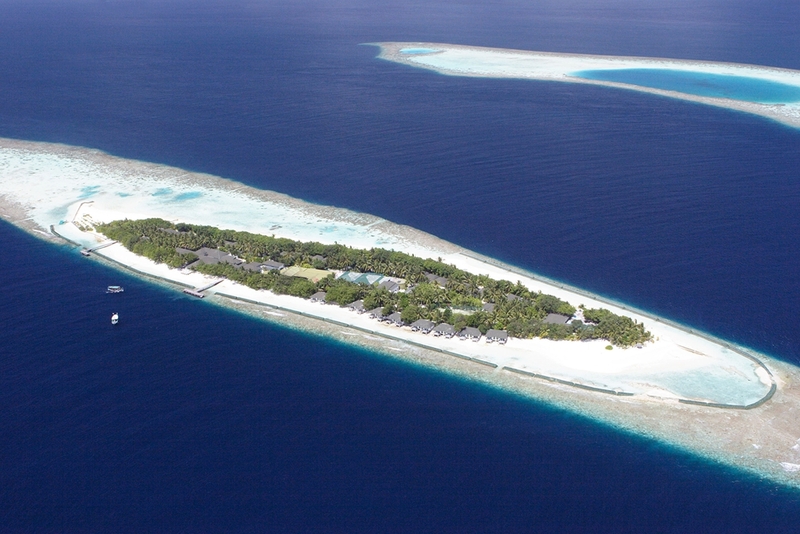 This part of the island is ideally equipped to accommodate families with children. The other part of the island is more suitable for adults without children, where swimming pool is recommended for adults only. 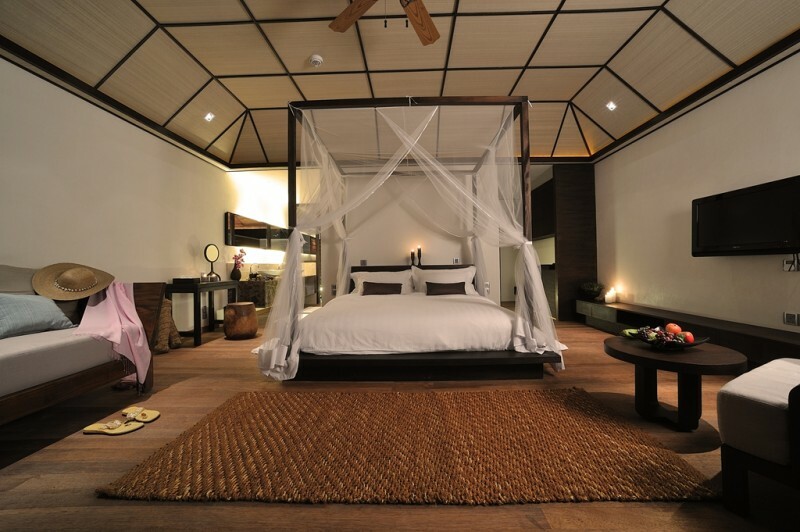 This part of island is more intended for a quiet and secluded holiday. 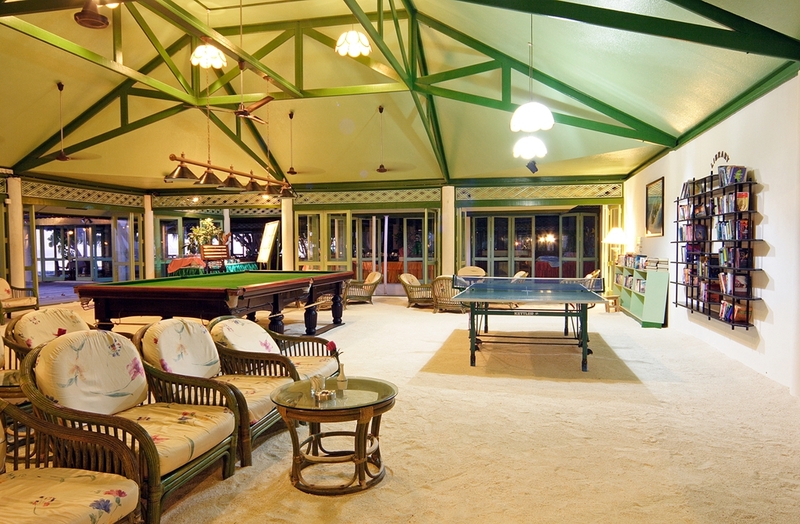 The Lily beach hotel has water sports center, spa, dive center, sports grounds. 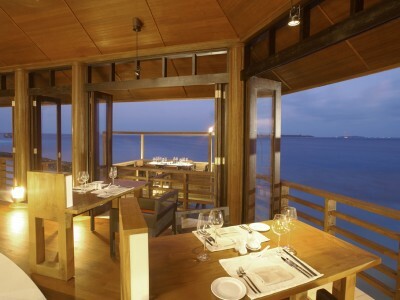 In the evenings guests can watch fish, sharks and stingrays feeding, which always highly delight among observers. Of course, one of the main advantages of the hotel is the meal plan type “Platinum Plan”, which includes even a daily refreshed minibar and 4 types of cigarette brands (more information you can find in the attachment). 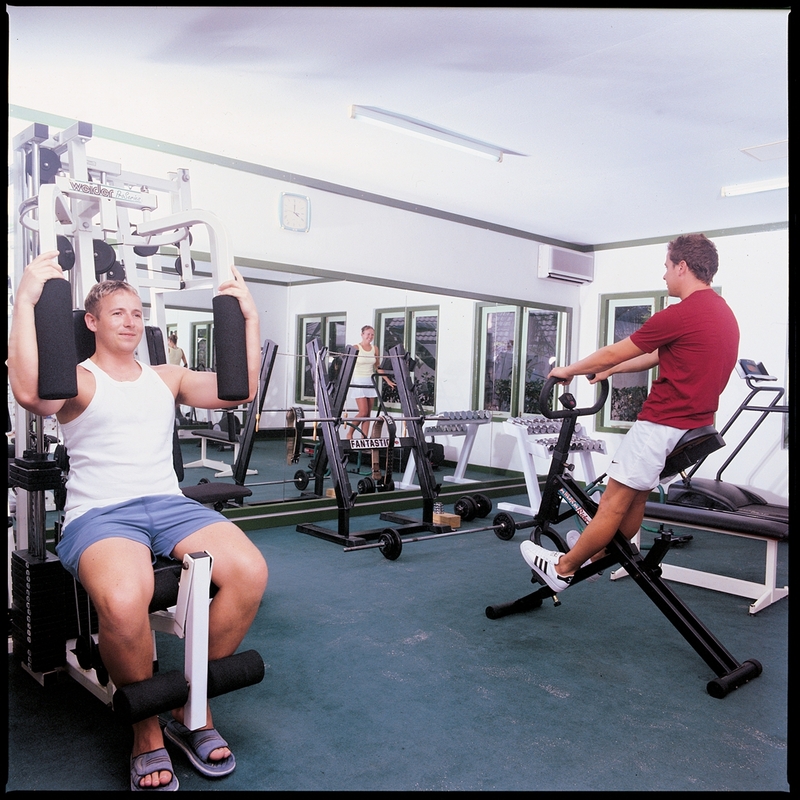 In addition, guests can use the snorkeling equipment and facilities of the sports center free of charge; to choose 2 free excursions during their stay at the hotel. 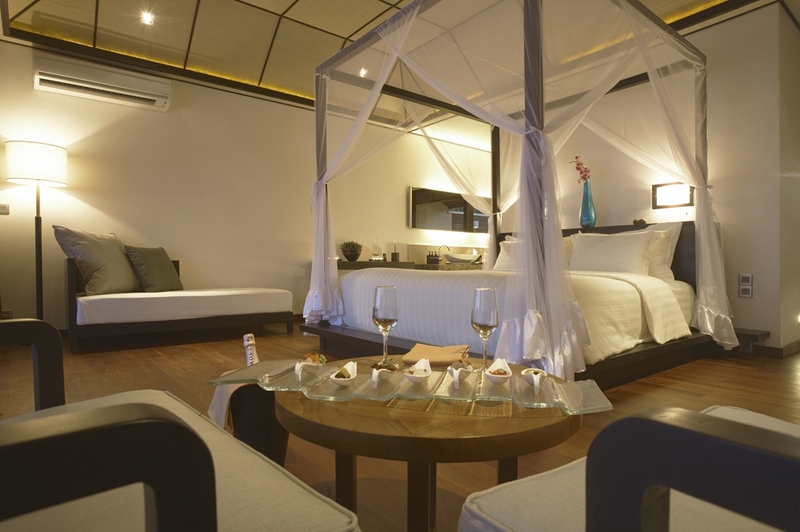 This hotel we can recommend for absolutely different categories of guests: for families with children, honeymooners or a group of friends. Прекрасный отель с высоким уровнем обслуживания, красивой территорией и развитой инфраструктурой. Идеальные условия для всех категорий туристов, комфортного плавания, с домашним рифом. Первый на Мальдивах курорт, предложивший новую концепцию питания и проживания – Platinum Plan, которая, кроме очень разнообраного питания включает обширный спектр услуг. 40 % гостей посещающих отель – repeaters, что говорит об умении всего персонала создавать домашнюю уютную атмосферу вокруг. Также, следует принять во внимание, что 30% сотрудников отеля, в том числе и русскоговорящие, трудятся во благо отеля не менее 5 лет, что также не может не сказаться положительно на гладкое функционирование отеля. 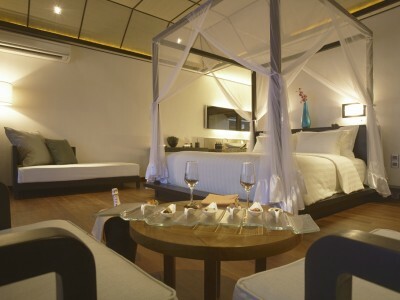 Lily Beach is really nice hotel with a high quality of service, well groomed island and developed infrastructure. 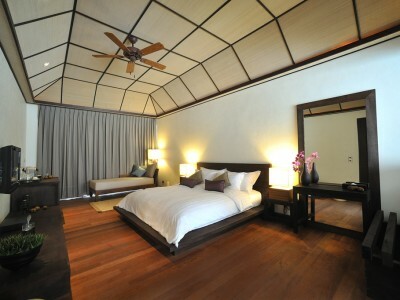 Ideal conditions for all tourist categories as for families, group of friends and couples as well. 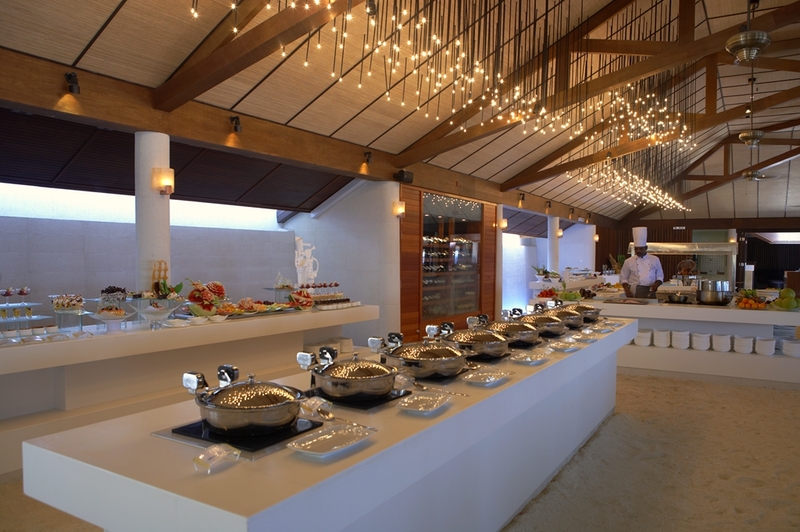 This is the first resort in the Maldives which offers a new concept of meal plan – Platinum Plan, which, in addition to a very diverse food includes a wide range of services. 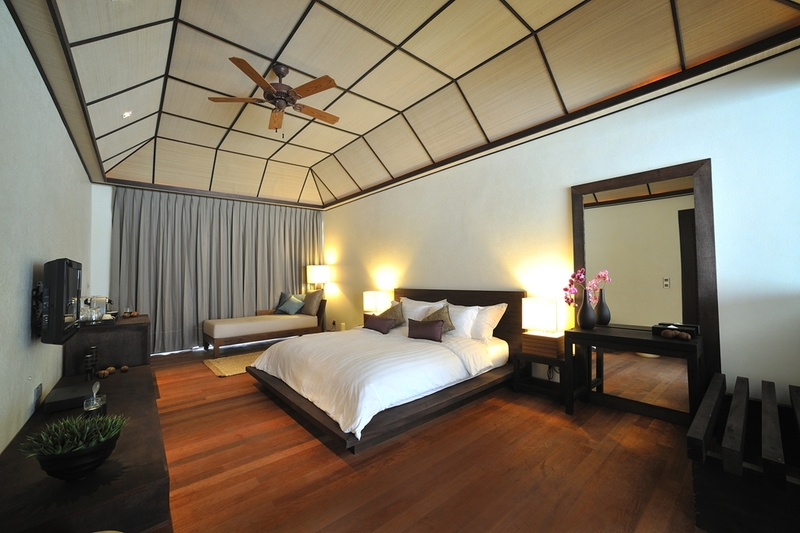 40% of visitors to the hotel are repeaters, which speaks of the ability of all staff to create a homely cozy atmosphere around. Also, it should be taken into account that 30% of the hotel’s employees have been working for the benefit of the hotel for at least 5 years, which also has a positive effect on the smooth operation of the hotel.